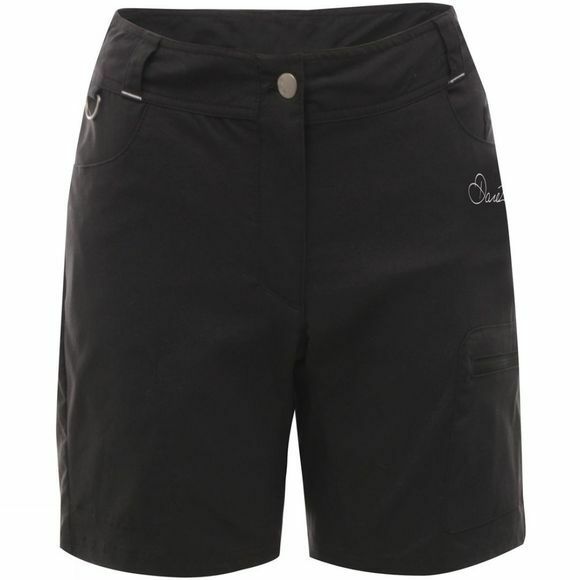 The Women's Melodic Shorts from Dare 2B are a great option for cycling. They offer a 4-way stretch for ultimate comfort and freedom of movement while the water repellent finish helps fend off the elements as well as helping them dry quicker. Interactive loops at the waist makes them compatible with padded inner shorts (not included) if you prefer a little extra comfort while cycling and the zipped pocket on the thing is great for stashing your keys or phone securely.